The OpenUp Hub is an open, dynamic and collaborative knowledge environment that brings together all key stakeholders involved in the research lifecycle as well as information and services related to open science. It captures, organizes and categorizes research outcomes, best practices, tools, and guidelines relevant to the review-dissemination-assessment phases of the research lifecycle. 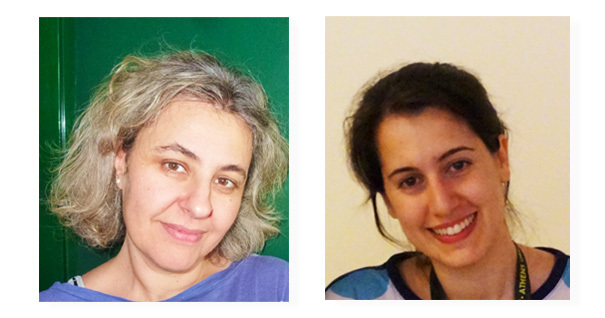 Eleni Toli and Electra Sifacaki report how the OpenUp Hub aims to support the community needs. What is the OpenUP Hub? Open Science and Open Scholarship have revolutionised the scenery of scholarly publishing. We need new ways to review, assess and communicate scholarly artefacts. The EU-funded project OpenUP (also on twitter) addresses all key questions that aim to open up the research lifecycle such as: How can researchers communicate their work using innovative methods? What is open peer review? How are Altmetrics produced and evaluated? It aims to open up the dialogue for a more open, transparent and gender-balanced science landscape with a specific focus in spreading the review-disseminate-assess mechanisms fit for the evolving practices in an Open Science context. You can find out more about the OpenUP project through a short animated video. One important outcome of the project is setting up the OpenUP Hub, an online knowledge base that brings together people, information and services. It provides an open, dynamic and collaborative knowledge environment that captures, organizes and categorizes research outcomes, best practices, tools, and guidelines relevant to the review-dissemination-assessment phases of the research lifecycle through the prism of Open Science. What is the unique selling point of the OpenUP Hub? It is an integrated solution for review-assess-disseminate aspects of the research lifecycle that focuses on related information and supports the community needs by offering the right tools: It provides a toolbox of open solutions and trainings, an observatory that senses the community pulse, a blog and a Q&A forum to promote the two-way communication and a calendar to share major events of the field. It is a tailor-made solution designed by the community for the community, that allows people working on, or interested in review-assess-disseminate to connect to each other and publicize their work! What are the stakeholders or target groups of the OpenUP Hub? OpenUP Hub engages in a multiple-level approach all key stakeholders involved in the research lifecycle: researchers, young scholars, educators, librarians, publishers, R&I project members, policy makers & funders as well as industry representatives and citizens. It offers customised solutions to different focus groups based on their needs. What can they expect from using the OpenUP Hub? The core services are divided by “toolboxes and tailor-made solutions” and “two-way communication”. By design, no subscription is required to access information on the OpenUP Hub. Search results can be customized, based on profile and preferences. Becoming, however, a member somebody has the possibility to create a profile, contact other members, also the ones with private profile, and upload blogposts. 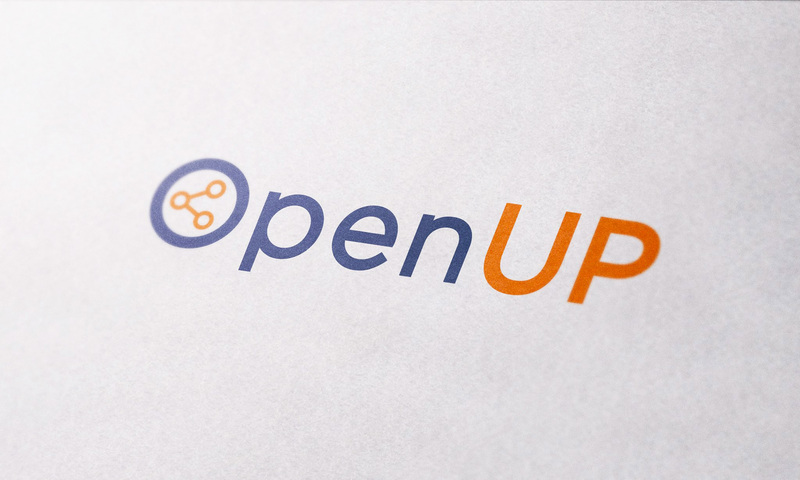 The OpenUP Hub provides an inventory of selected tools addressing your needs and questions about alternative peer review, altmetrics and innovative dissemination methods. It is the place where you can find innovative methods, checklists and factsheets, training material, informative and coaching videos, related papers, reports and surveys, significant initiatives and an overall scan of the field. So what to do in three simple steps? First, choose the area of your interest: review – disseminate – assess. Second, customize your search according to your profile & needs. Third, choose the right tool for you! The material is here for you – no subscription required. What services does OpenUp Hub offer to foster two-way communication? Another unique feature of the OpenUP Hub is that it fosters the two-way communication. These services are: a blog, a calendar, an observatory, and a Q&A. The Q&A forum has been established in liaison with Christian Pietsch and supported by the Bielefeld University. On OpenUP Hub blog we upload, collect & promote interesting articles & point of views on Open Science. Join us and let the world know about your work & thoughts! In the calendar you can find conferences, events, workshops that are relevant to open peer review, innovative dissemination, alternative impact assessment and Open Science world. The observatory is the place to sense the community pulse. Check out what is being discussed on the social media about peer review, altmetrics, communication of science, the role of women in science, and responsible research & innovation. Any questions on Open Science? Share them with the members of the Open Science Q&A forum and get your answers. Or, provide answers to people who ask. Have a new tool to suggest? Make your recommendations using the suggestion box!”. It is important for us to encourage users to send us suggestions. How can the communities of scientists or librarians engage in the OpenUP Hub? They can decide if they simply want to access the information and tools, or if they are interested in more active participation. In this case they can write blogposts, react to articles, send papers to upload, and use the suggestion box to recommend new tools to include in the toolboxes. As mentioned before, the material hosted in OpenUP Hub is designed by the community for the community. What incentives do you provide? Why, for example, should researchers create a login at the OpenUP Hub? The material hosted in OpenUP Hub is open to all users, irrespectively of account creation, as open and free sharing of information and knowledge are important elements in Open Science. Same importance has, however, especially for researchers endorsing Open Science principles, also the creation of a “community of peers”. OpenUP Hub supports the creation of an online community on the review-dissemination-assess: This implies the need for a two-way communication: not only “consume” what is presented through the Hub, but also “offer” content and knowledge. Creating an account at the Hub offers the possibility to interact with other members (for example by sending requests to connect with other members, asking for pre-assessment of their work) and play an active role in the shaping of its content (for instance by uploading blogpost articles, presenting papers, expressing their ideas on Open Science). They can showcase their work to experts and specialised audiences and receive feedback and reviews that may help them advance their work, grow new ideas, build synergies and get recognition. What are your future plans for the OpenUP Hub? We aspire that the OpenUP Hub becomes the reference point in all topics relevant to the triptych of review-dissemination-assessment. Through the strong community orientation, we hope that it will remain sustainable and active even after the closing of the project. Our target is to increase the community-generated content in comparison to the project-generated or aggregated part. Additional features are already planned to be implemented (for instance project of the month). Who is behind the OpenUP Hub? The OpenUP Hub is part of the OpenUP project that received funding from the European Union’s Horizon 2020 research and innovation programme under grant agreement No 710722. The project and the OpenUP Hub are a result of the joint effort of nine European partners representing different actors of the research lifecycle and the Open Science community. More specifically the core team is composed by a policy research institute in the Central and Eastern European region, PPMI as well as three universities, the National and Kapodistrian University of Athens, the University of Göttingen and the University of Amsterdam, three research centers, Know-Center, DZHW, CNR, a research institute, AIT and an openaccess publisher, Frontiers. Eleni Toli is a Research Associate and Senior Project Manager at the Athena Research Center and the Department of Informatics and Telecommunications at the University of Athens, involved in the scientific and technical coordination of several EU-funded projects related among others to Research Data Infrastructures and Open Data. Electra Sifacaki is a research associate at the Department of Informatics and Telecommunications at the University of Athens and a member of the Research and Development staff of MADgIK group. She is part of the EU-funded CSA project OpenUP team and in the past she has worked in the area of implementation and development of gamification techniques in public consultations. She is active on twitter.